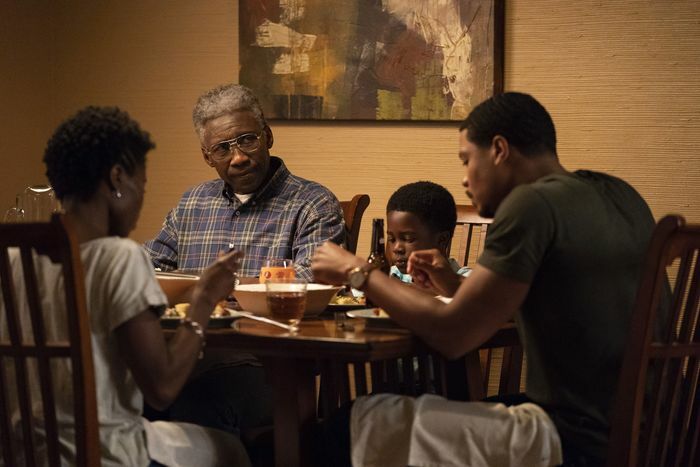 The third season of HBO’s crime drama True Detective stars Mahershala Ali, Mahershala Ali, and Mahershala Ali — as a character in his 40s, in his 50s, and in his 70s, a demanding three-part performance that leaps between glimpses of an unsolved murder case in small-town Arkansas in 1980, 1990, and 2015. 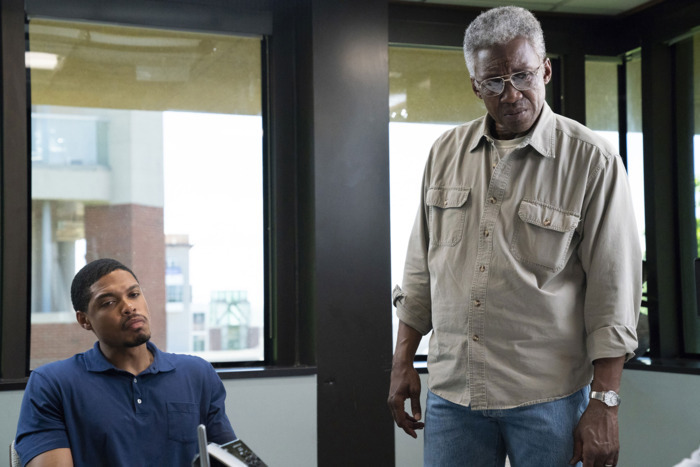 As state police detective Wayne Hays, Ali is obliged to portray three distinctive shades of one complex character, a feat accomplished both by the gifted actor’s exceptional talents and by a hair and makeup department that are very clearly virtuosos in their field. In the 2015-set scenes, Ali really looks like a 70-year-old man — something of a surprise, when you consider that most actors in old-age makeup just look like young men with a bunch of junk glued on their faces. For this we have to thank Mike Marino, self-described “makeup engineer” and owner of Prosthetic Renaissance, a design studio that specializes in practical makeup effects. Marino has done elaborate makeup and prosthetic work for Alejandro Iñárritu (Birdman), M. Night Shyamalan (After Earth), and Martin Scorsese (The Wolf of Wall Street); he created the flabby, time-weathered face John Travolta wore in the now-notorious gangster passion project Gotti, and, one would be remiss to overlook, dreamed up the unforgettable neck testicles Hugh Jackman dons opposite Kate Winslet in the omnibus comedy Movie 43. Marino is the guy you call when you want to make it look like someone’s arm has been nearly hacked off by a cabal of neo-Nazis with X-Acto knives, as he did for Green Room, or who you ring up when you want Christina Hendricks to slice off her own face, as he accomplished in Ryan Gosling’s Lost River. Marino is an artist concerned expressly with how faces look. And there was an obvious respect in which how Ali’s face differed from most of the actors he was accustomed to making older: the color of his skin. “I’ve predominantly done more white actors for some reason,” Marino says. “That’s not by choice. It just happens to be that way.” It may be that the kinds of prestige projects that oblige actors to become old men tend to cast white stars. It may be that Hollywood is overwhelmingly white. In any case, there weren’t many prominent examples of black actors in convincing old-age makeup for Marino to look to for a model of how it might best be done. So he turned to an unusual case: The Nutty Professor. “I think that’s one of the best makeups that was ever done,” he says. “What Rick Baker did — even though it was a comedy — was so successful. 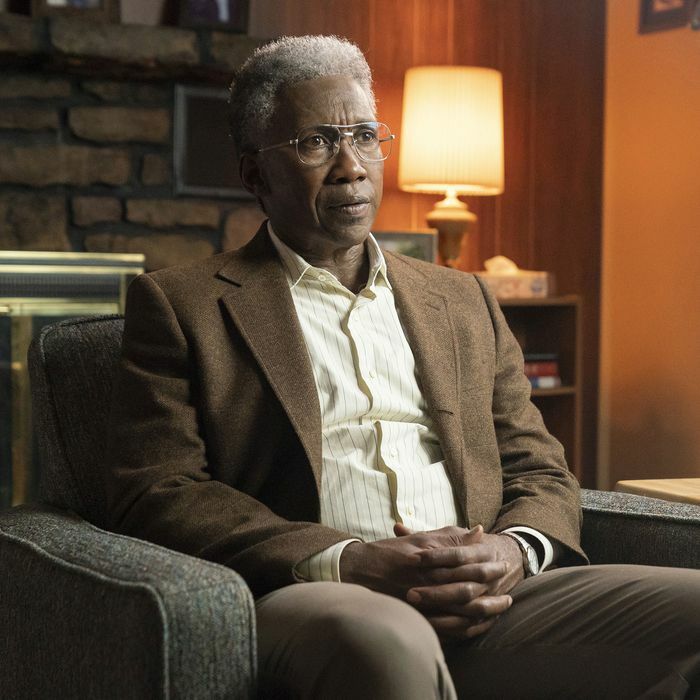 What I noticed and what I learned that helped me with Mahershala is the colorization of dark skin. If you look at The Nutty Professor, the way the skin is colored, and the way the skin moves, is so different from how I would approach Stephen Dorff’s makeup, which is completely different colorization, completely different wrinkle pattern, completely different texture of skin. What I learned was how to color black skin properly. There are certain oils that are different. Black skin is smoother. Textures are deeper in certain areas and textures are less in certain areas than in a Caucasian face.” Getting this right was essential to the success of the effect. “It was a real challenge,” he says.